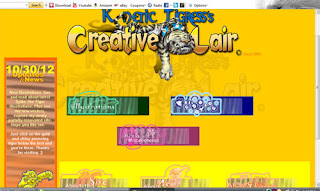 K_tigress's Creative log: Kt's place is back! My K_t’s Creative layer renovations complete and now ready for your viewing pleasure. Now to the hobby part of my web site not currently showing. Here’s a sneak peak of the web site layout. Also clickable for entering my newly refurbished web site. Tina your website and portfolio is wonderful. You are seriously talented my friend! :) Bravo! Thanks. There's still that needs to be done. Just don't know when I'll get to it. Lots of stuff to do.